No other form of public relations creates the kind of exposure that provides a lasting impression equal to that of branded hot air balloon public relations team. Nothing can come close to the impact of a hot air balloon seen for the first time. The impression it creates and the image of your brand which it portrays become imprinted permanently in the memory of almost every person who sees the hot air balloon. In conjunction with a professional, public relations oriented pilot, a balloon is a versatile communications tool, which can be moved around the region, country or world with relative speed and ease - but it does require commitment to the the form of media. It's no longer good enough just buy a balloon and fly it. ​You need a firm with a 360 degree understanding and capacity of how to merchandise your investment when balloon can't fly - that's where Hot Air Marketing comes in. 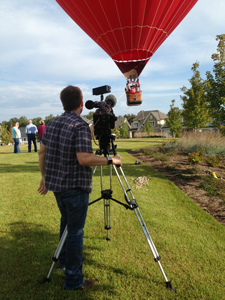 We understand how to leverage beyond safely getting the balloon in front of an audience and/or the media. A branded public relations hot air balloon - in flight or tethered at a special event or festival - catches the attention of over 90% of the people who see it. 63% of all people who see a hot air balloon in person will share it on social media. 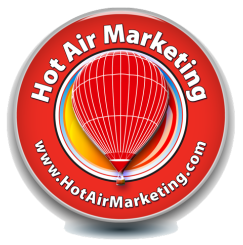 Approximately 95% of people who see a hot air balloon, mention the experience to friends and loved ones, creating "sticky" word of mouth brand referrals. Wherever one finds a hot air balloon, there are hundreds if not thousands of cameras. Think of the consumer impressions - the number of people who take photos of your hot air balloon with smart phone devices and post them to Facebook, Twitter and other social media outlets is simply staggering. It's a force multiplier that will extend your social media marketing and content marketing strategies to new heights. But that's only part of the equation. Hot Air Marketing is unique in that we also deploy tactics to deliver on your balloon program during times when balloons can't fly. Want to learn more? Let's have a confidential chat. Above is a video posted by a homeowner during a recent media day Hot Air Marketing produced in conjunction with Clairemont Communications for Newland Communities' Briar Chapel development in Chapel Hill, NC. It's not uncommon for people who come to one of our community relations events and/or flights to blog, post videos and photos of their unique encounter with your brand. Why not give your prospects and customers something new and positive to talk about when it comes to your brand or business? Hot air balloons are universally fascinating, regardless of the spectator’s age, income, gender, or occupation. As such, they are not limited to select demographic profiles. No matter your target, the sheer act of seeing a hot air balloon changes the viewer's attitude. 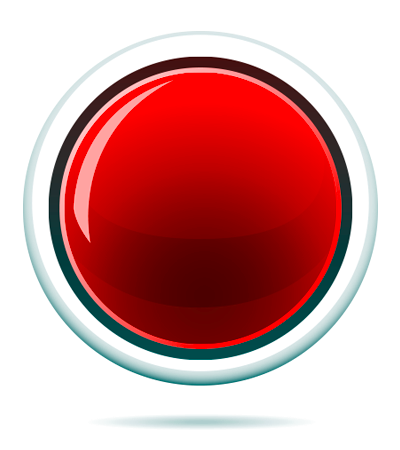 It "dials back" a person's mindset to an age or a time that reminds them of when anything was possible. The only limit is your imagination. Our public relations team can help you devise, design and deliver your message with devastating impact, leaving your competition looking up at you. Of course your customers will also be looking up at you in a completely new way. It's magic to see the consumers' recall and excitement. It is not uncommon during flights for parents to chase the hot air balloon just to see where it will land. Then, they'll ask to have themselves or their children take photos with the balloon (remember this is your ad they're chasing down the road). How much is this kind of participation in the lives of your prospective customers worth to your business or brand? A television videographer gets footage of talent at a media day event.